Tiles have been used for centuries as decorative touches both inside and outside of buildings of all types, including homes, businesses, places of worship and more. Ceramic tiles are one of the oldest forms used for decorative art; they’ve been treasured for centuries due to their durability and stunning beauty. Handmade and hand-painted ceramic tiles have been used since ancient times all around the world. Clay, a natural substance, was easy to find and process into decorative tiles. The resulting tiles were durable and attractive—the same qualities that draw us to ceramic tiles in modern times. The earliest use of decorative tiles was found in Egypt, dating from about 4000 BC. Tiles were also made by the Assyrians and Babylonians. The Romans and Greeks also favoured decorative tiles; you’ll find examples of beautiful tile work in mosaics, murals and more. One of the earliest uses of tiles can be found in the Elamite Temple at Chogha Zanbil, which dates from the 13th century BC. Another beautiful example is the Ishtar Gate of Babylon, from about 575 BC. The Achaemenid Empire also decorated buildings with glazed tiles. Decorative tiles were also prized by the Sassanid Empire, where they were used made into geometric designs including flowers, plants, birds and people. During the Islamic period, decorative ceramic tiles became popular; they were often used as embellishments for both the outside and inside of buildings. You’ll find beautiful tile works in places such as Tunisia (9th century), Kashan Iran (11th century) and many mosques dating from the 12th century and on. Some beautiful examples of Islamic tiles include the Seyyed Mosque in Isfahan, from about 1122 AD, the Dome of Maraqeh (AD 1147), and the Jame Mosque of Gonabad (1212 AD). Some of the finest and most intricate tile work was done during the Timurid Empire of Persia. They used the moraq technique. This technique used single-colour tiles that were cut into small shapes and put together by pouring plaster in between them, creating panels. Once these were dry and hardened, the panels were put together on the walls of buildings. Not only were these used on flat surfaces, but the panels were also used to cover the interior and exterior surfaces of domes. It wasn’t until the Middle Ages that decorative tiles became popular in Europe. They first spread from Spain, in the time of the Moors, and then to the neighbouring countries, finally spreading to the rest of Europe. Tiles were expensive and were only used by the rich who could afford them, especially royalty, churches and ecclesiastic institutions. Encaustic tiles became popular in Europe. These were made of multiple colours of clay, then shaped and baked together to form patterns. The very pattern wasn’t only on the surface, but went right through the thickness of the tile, making the design durable and not easily worn away. Painted tiles were also popular in the European Middle Ages. Again, many of these were used in churches and other religious establishments. The tiles were painted with scenes from the Bible and became a type of “Bible” that illiterate people could “read.” Letter tiles were another popular choice, and were often used to create Christian texts on church floors. Tiles remained popular into 1600s and beyond. In the 17th and 18th centuries, Holland became an important centre for decorative tiles with their Delftware tiles. Delftware tiles were famous for their cobalt blue and white colouring. Delft tiles were popular in Europe and around the world, including in the American colonies. Colonists ordered Delft tiles to use as a decorative touch around fireplaces and even on the walls of their homes. The Industrial Revolution is well known for its transition to new manufacturing processes, rather than producing everything by hand. This was a time of technological innovations, especially in Britain. The British used the manufacturing process to mass-produce ceramic tiles, making them more affordable for the middle class. Handmade and hand-painted tiles were still popular, but the mass production of ceramic tiles helped more people enjoy their lasting beauty. During this period, patterned tiles were still popular and were used for decorating not only churches and other buildings, but were use more and more in domestic homes. In the home, tiles were popular for use in hallways, bathrooms and were seen as a hygienic benefit for kitchens. In the early 20th century, tiles continued to be popular; especially the subway tile, which was originally developed and used on the wall of New York’s subway stations. Subway tiles were usually white and were often used in kitchens and bathrooms. Another trend of the early 20th century was decorative tiles influenced by the Art Nouveau and Art Deco styles popular between 1900 and 1940. These tiles were brightly coloured with rich designs, and were used in all types of architectural settings. These days, decorative ceramic tiles are still highly popular and are used as stunning displays outside and inside homes, businesses and institutions of all kinds. Modern tiles are available in a wide range of colours and can be commissioned for everything from swimming pools and walls outside, to bathrooms, kitchens and even works of wall art inside. You can find handmade and hand-painted tiles, or can even opt for digitally printed tiles—all with the design of your dreams. Your imagination is the only limit to what you can create with today’s stunning tiles. To learn more about using decorative ceramic tiles in your home, contact us at UniqueTiles. We’ll help you develop and implement wonderful, stunning tiles for your home or business. We offer customized digitally printed tiles, and have a team of design specialists ready to help you bring your design from dream to reality. Give us a call or contact us through this site. 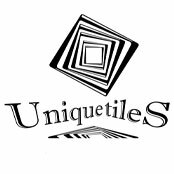 I am a dynamic entrepreneur and MD at UniqueTiles Ltd and Custom Tiles Designer. I am an expert in concepts, productions, and management of all sorts of projects. Passionate about creating exceptional work, growing client relationships, and art.